Let me state at the outset that I have the greatest respect and admiration for Robert Schoch and his paradigm-changing work. He is at the forefront of the critically important movement now bringing scientific credibility to a powerful alternative view of world history. And for that my hat is off to him. 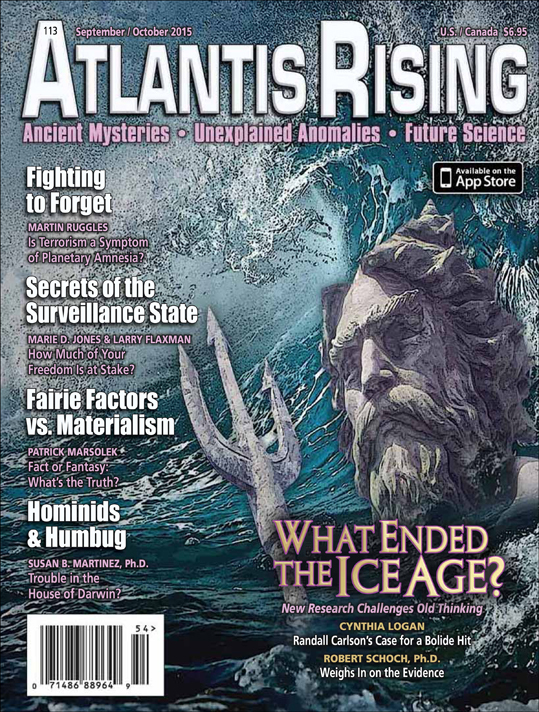 I do however, have a few comments to make in regards to his article in the September-October issue where he weighs in on the evidence for Ice-Age-End Scenarios. First, he is exactly right when he states that the end of the last Ice Age was a pivotal period for both the planet and for ancient cultures. His description of the events associated with this dramatic global transition bracketing 12 thousand years ago is, in my opinion, clear-cut and accurate: huge, rapidly melting ice sheets; powerful seismic and volcanic activity; vast torrential rainstorms; dramatic changes in ocean circulation; extreme and abrupt climate changes, and, if I may add to the list, the disappearance of roughly half the world’s species of megafauna over this very short interval of time. I think we would both agree that these events, and the scale on which they manifested, could be characterized as a global catastrophe. Schoch refers to some of the most recent and accurate dating of the events surrounding the period known as the Younger Dryas, the time during which these intense planetary changes took place. The YD spanned from close to 12,900 years ago to 11,700 years ago and the end of the YD coincided with the end of the Ice Age itself. In geological terms this 11,700 year event marked the transition from the Pleistocene to the Holocene, or modern epoch. Dr. Schoch then turns to the all-important question of ultimate causes for these catastrophic changes and introduces a relatively new, highly controversial theory, one which we will hereafter refer to as the Younger Dryas Impact Hypothesis, or YDIH for short. Briefly, this theory, first articulated in the scientific press in 2007 by Richard Firestone with the Lawrence Berkeley National Laboratory, postulates that at approximately 12,900 years ago Earth was struck by some type of cosmic object, either a comet or an asteroid, and that it was this impact event that triggered the whole series of calamitous episodes that followed, and, ultimately, knocked the planet out of the grip of the Ice Age. After introducing the seminal work of Firestone, Schoch then goes on to discuss why he has begun to question the validity of the theory. He discusses the work of Douglas J. Kennett and a 16 member team, who published in 2009 regarding the finding of nanodiamonds at the YD boundary. (See: Kennett, Douglas J. et al. (2009) Shock-synthesized hexagonal diamonds in Younger Dryas boundary sediments: PNAS, vol. 106, no. 31, pp. 12623-12628) Nanodiamonds are often produced in the high temperature, high pressure conditions associated with a cosmic impact. They have been found in abundance at the Cretaceous-Tertiary boundary for example and in association with an ever growing number of craters and astroblemes around the world. These diamonds can either be cubical or hexagonal in form. The hexagonal variety is given the name Lonsdaleite, in honor of Kathleen Lonsdale, (1903-1971) an Irish crystallographer and very accomplished scientist. This is quite interesting. Gravels are typically evidence of vigorous fluvial currents as would be associated with a flood. Separating the two dark layers is another layer of coarse gravels about 2 feet thick. Over the uppermost dark layer is about 2 ½ feet of very coarse gravel to rounded cobble size rock. This again is evidence of a significant flood passing through the canyon immediately after deposition of the second layer of dark mud. Overlying the cobble/gravel deposit is a layer of coarse sand about a foot and a half thick. Dating of these layers places all of them right at 12,900 to 13,000 Before Present (BP). Kennett and fellow authors make a final comment regarding the depositional context of the various layers as just described. “The rest of the overlying sequence consists of alluvial sands and gravels, Accelerator mass spectrometry (AMS) 14C dates from upper and lower parts of the sequence are statistically similar, suggesting rapid accumulation of fluvial deposits shortly after ̴12.95 ± ka.” In other words, the deposition of the nanodiamond layer was immediately followed by floods which enclosed the dark layers in thick gravels. I should digress for a moment to describe another important development relative to this discussion of events on Santa Rosa Island that occurred back in 1959. In that year archaeologist Phil Orr with the Santa Barbara Museum of Natural History discovered two human femora eroding from a wall of a gully along Arlington Canyon. These initially were radiocarbon dated to roughly 10 thousand years BP, a date considered controversial at the time. For almost three decades the bones lay in the basement of the Santa Barbara museum encased within a block of in-situ extracted earth. In 1987 two researchers discovered the bones in the basement of the Museum and began a reexamination of them and the environmental context in which they were found. Their eventual findings were reported by the press in 1999. I will quote from an article in the Los Angeles Times dated April 11 of that year. ‘Bottom line is she may be the earliest inhabitant of North America we have discovered. It’s a find of national significance,’ said John R. Johnson, curator of anthropology at the Santa Barbara Museum of Natural History, part of the team involved in the research. The article goes on to describe the more precise dating performed on samples taken from the bones. So here we have remains of a human, found in what appears to be a deposit of flood sediments and dating right to the onset of the Younger Dryas. Was she a victim of the catastrophe? Were there others who might have perished at the same time? 100 new mammoth localities! It would seem that mammoths were quite prolific on Santarosae, the name given to the ice age island that is now four separate islands. So what did studies of this pygmy mammoth reveal? Well, for one thing the date of his death. A sample of the mammoth’s right femur yielded up a date by Accelerator Mass Spectrometry (AMS) of 12,849 ± 419 years. In other words, it is not at all implausible that both the Arlington Springs woman and the Santa Rosa pygmy mammoth died at the same time at the boundary marking the sudden onset of the Younger Dryas close to 12,900 years ago, the same catastrophe that left its imprint on the landscape in the form of the ubiquitous black mat, a matter to which I will return. The authors point out that the only other definitely known co-occurrence of nanodiamonds, soot and mass extinction is at the K/T, or Cretaceous/Tertiary boundary impact layer, coinciding with the extinction of the dinosaurs 66 million years ago. 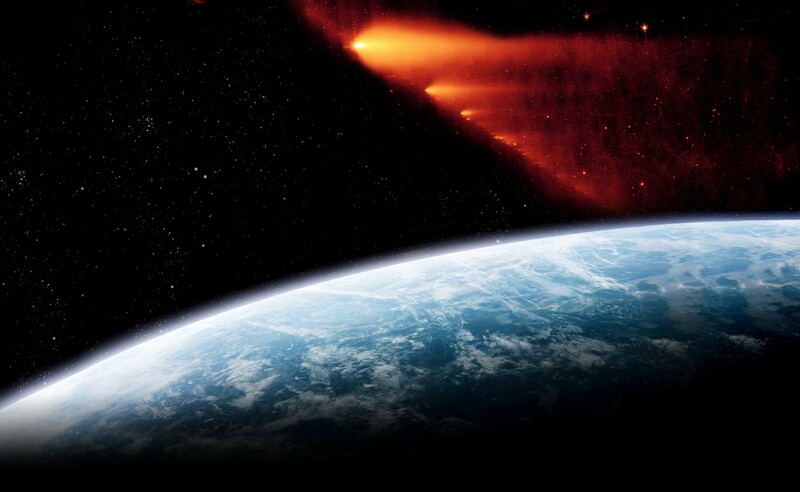 In his article Robert Schoch correctly states that the presence of lonsdaleite in the YD Boundary layer would “strongly support that an impact event occurred, as lonsdaleite is known on Earth only from meteorites and impact craters.” He then goes on to site the work of Mark Boslough and others that “it has since been determined that the supposed lonsdaleite is not lonsdaleite but a misidentification of other material, and the same holds true of other supposed occurrences of lonsdaleite in sediments dating to approximately 12,900 years ago.” Misidentification of other material? Well, if not lonsdaleite what was it? How could this highly qualified 17 member team of scientific professionals make such an egregious mistake? For example, the lead author Douglas J. Kennett is a Professor of Environmental Archaeology at Pennsylvania State University, the Director of Human Paleoecology and the Isotope Geochemistry Lab and Co-Director of the PSU Accelerator Mass Spectrometry Radiocarbon Facility. The second author, James P. Kennett is the father of Douglas and Professor Emeritus at the University of California-Santa Barbara. He is a paleoceanographer, a paleoclimatologist, a marine geologist and an expert on impact phenomenon. He has authored, or co-authored almost 600 scientific articles published in the peer-reviewed literature. Ted E. Bunch, another co-author of the report has over 280 scientific papers to his credit. 98 of his papers were on meteorites, 78 of them were on impact craters. He has had over 50 years of experience investigating both experimentally and naturally shocked materials, asteroid impact craters, lunar samples, terrestrial mineralogy and petrology and meteorites. Wendy Wolbach is a professor of inorganic chemistry, geochemistry and analytic chemistry at De Paul University and an acknowledged expert on the geochemistry of meteorite impacts. She has published widely on her studies for evidence of impact and wildfire at the K/T boundary going back to the mid- 1980s. And so it goes for the remainder of the team, each recognized experts in their respective fields. Of course all of these qualifications does not mean they can’t make a mistake. However, given their level of expertise it would be prudent to investigate further the accusation made against them, essentially implying incompetence on their part. So back to the question. Did this team misidentify a type of shocked diamond at the YD boundary, and, if so, does it negate the impact hypothesis? The answer to this question is loaded with implications for our understanding of both Earth history and human history. So how do these results negate the findings of Kennett et al. as the Boslough team implies? The fact that the spherules were found in more recent sediments Boslough et al. try to use to discredit the work of the Kennett team. But consider this carefully: the fact that the Yang team found spherules containing nanodiamonds in more recent sediments than the YD Boundary means, according to Boslough et al., that “they were evidently not produced by impact processes because they are present in modern soil and lack any links to impact structures.” Again, how is this conclusion in any way supported by the findings of Yang et al. when they actually invoke impact as a plausible explanation? But what are possible impact produced spherules doing in “recent” soils? I would suggest that the findings in Germany and Belgium support the idea that cosmic events may be more frequent than gradualist dogma will acknowledge, and the fact that an impact of some type of cosmic object over Europe in times more recent than 12,900 years ago in no way negates the possibility of something similar happening on a larger scale at that time. To be clear, it is the assumption that nanodiamonds should be unique to the YD boundary and found nowhere else, otherwise they are, presumably, not the result of a cosmic impact but merely part of the steady rain of cosmic particles that constantly shower the Earth. We have already discussed the work of Yang et al. Let’s take a closer look at Tian et al. and how their work may or may not discredit the YD impact hypothesis. This team made a study of a thin black layer buried about 50 cm (20 in.) beneath the surface near Lommel, Belgium. They begin their paper by briefly describing the history of the controversy, mentioning two critics of the impact hypothesis, Paquay et al. and Surovell et al. to whose work I will return. Tian et al. point out that these two teams failed to replicate the findings of the impact proponents. The electron microscopy data put forward by the Kennett team to demonstrate the presence of Lonsdaleite at the YD boundary, the Tian team finds to be “unconvincing.” But they do state this with regard to the report of the Kennett team: “Although the reported lattice parameters can indeed be assumed to originate from Lonsdaleite, low precision measurements from ring patterns resulting from small particles can at most be seen as a first indication.” Okay, fair enough. However, it can be readily seen that Tian et al. does not exclude the possibility that the Kennett team did, in fact, discover Lonsdaleite, and actually give a half-hearted support to that interpretation. When they get to the subject of their own findings Tian et al. report that “Our findings confirm, and in fact reveal more direct proof than the earlier studies, the existence of diamond nanoparticles also in this European YDB layer. No such particles are found in the overlying silt and clay or in the underlying fine sands.” So whether Lonsdaleite or not, this team did find abundant nanodiamonds concentrated right at the base of the black Younger Dryas boundary layer and none in the layers immediately above or below the boundary layer, which contradicts the assertion of Boslough et al. that “only a limited range of sediment horizons above and below the Belgium YD boundary were studied in that work.” Well, yes, that appears to be true, but they obviously did study the soil immediately adjacent to the black mat, the layers of greatest significance, and did not find nanodiamonds where the impact hypothesis predicts that they would not be found. Tian et al. did not find carbon spherules in the layer but attributed that to their possible destruction through diagenesis. So again I must ask how is it that the work of Yang et al. and Tian et al. disproves or even discredits the findings of the Kennett team? The work of Isabel Asrade-Alcántara and her 15 member team provide powerful independent corroboration of the work of Firestone et al. Their paper describing research supporting the impact hypothesis was published in March of 2012. They begin by describing the lake bottom core sample that they had been studying. The sample, extracted in 1997, was 27 meters (88.5 ft) long and 10 cm (4 in.) in diameter. It provided a detailed record of regional environmental and climatic changes extending back 130 thousand years. I won’t go into detail on the array of analytical techniques other than to remark they included scanning transmission electron microscopy (TSEM), high-resolution transmission electron microscopy (HRTEM), accelerator mass spectroscopy (AMS), energy-dispersive X-ray spectroscopy (EDS), Fast Fourier transform analysis (FFT) and electron energy loss spectroscopy (EELS). Suffice it to say these technologies allow of the highest precision and accuracy for the identification of all the relevant materials. What first aroused the interest of the Asrade-Alcántara team was the anomalously high amount of charcoal between about 4 and 2.6 meters depth below the surface. They concentrated on counting charcoal microparticles between the depths 3.6 and 2.2 m (11.8 ft and 7.2 ft.) depth. This interval dated to approximately 21,000 to 10,000 years before present. The background level of charcoal particles was about 5000 per kilogram. At a depth of 3.1 meters, dating to about 16 thousand years ago, they found a minor peak of 29,000 particles per kilogram. However, when they looked at the YD onset, at a depth of 2.65 meters, they found a maximum peak of 77,000 particles per kilogram, or 15 times the background count. This the authors attribute to “a major episode of biomass burning.” This peak in charcoal particles is found about 5 cm above a layer containing magnetic spherules, carbon spherules and nanodiamonds. They also point at that at Lake Le Yeguada there is a major peak of charcoal particles that date to very near the YD onset.